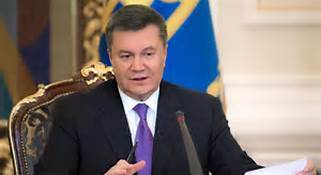 The country's parliament has been passing new laws since Yanukovych left the capital after signing a deal Friday with protesters who demanded early elections and that he step down. The situation in Ukraine is getting wors... It�s so close my country - Slovakia !!!! I think he's the bad guy. I hope they find him. "Power to the People!" It's so unfortunate that some people have to give up their lives to fight for what is right. These greedy and devious politicians should be ashamed of themselves. But, unfortunately again, they could give a crap......It's all about them.....power and greed. Nothing but low-life insecure cowards. Thanks for sharing Nancy! I hope that it is resolved soon so there won't be more killing. Noted. Thanks, Nancy. hmmmm....so 80-100 protesters were killed, the Pres. is out of power, and the protesters have "won." They want to arrest him for the killing of those protesters. Why am I thinking that despite all the protests here in the U.S.....we could never get what we wanted by protesting? During Occupy, many, many protesters were severely injured and incarcerated. There are lawsuits happening regarding this going on right now. For me the bottom line is: Protests in other countries=O.K......Protests in the U.S.=Must be fought with militarized police using tear gas, batons, and whatever other useful technology they deem fit. Noted--looking forward to what happens next. He needs found, tried & sentenced to either life in prison or death for turning on his own people. Although he is probably with Putin & will not be seen again. His murderous crimes can't be ignored. This creep is probably in Moscow by now with all the millions he's stolen from his people.